Demetrio Tupac Yupanqui's translation of "Don Quixote" into Quechua is a landmark in reviving the indigenous tongue.Since the Spanish conquest, important writing in Quechua has emerged, but linguists and Quechua speakers hope that the new version of "Don Quixote" will be a step toward forming a public culture in the language, through Quechua magazines, television and books, that will keep its speakers engaged with the wider world. After centuries of retreat in the Andes, Tupac Yupanqui's efforts in fortifying Quechua, through teaching and translating, are being complemented by various other ventures. Microsoft has released translations of its software in Quechua, recognizing the importance of 5 million or so speakers of the language in Peru and millions elsewhere in the Andes, mainly in Bolivia and Ecuador. Not to be outdone, Google has a version of its search engine in Quechua, even if some linguists say that these projects were carried out more for corporate image polishing than for practical reasons. 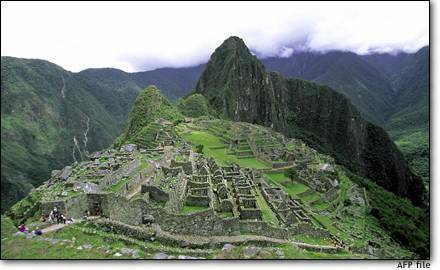 The workings of Andean democracy are also reminding the world of Quechua's importance. The government of President Evo Morales of Bolivia, for instance, is trying to make fluency in Quechua or another indigenous language mandatory in the civil service.